You can expect a small, cozy and well-kept holiday home on the Müritz-Havel Canal in a quiet location. In the house you have a living room with integrated kitchen, a separate bedroom and shower / WC. From the covered terrace you have a beautiful view of the water - there are garden furniture and barbecue available - you can relax, unwind and watch the passing ships. A lawn with a beach chair invites you to sunbathe. Approximately 200 m from the house is a small rustic restaurant. The actual beach in Mirow is about 1 kilometer away - but you can jump right outside the front door into the "cool water". In the cool season provides central heating for comforting warmth. A fishing or A jetty directly at the house as well as a rowing boat and a carport are available free of charge. You can expect a small, cozy and well-kept holiday home on the Müritz-Havel Canal in a quiet location. It is suitable for 2 to 3 people, the extra bed for the third person is in the living room on the sofa. In the house you have a living room with integrated kitchen, a separate bedroom and shower / WC. From the covered terrace you have a beautiful view of the water - there are garden furniture and barbecue available - you can relax, unwind and watch the passing ships. A lawn with beach chairs invites you to sunbathe. For bicycles, fishing, etc. is a separate house available. Approximately 200 m from the house is a small rustic restaurant. The actual beach in Mirow is about 1 kilometer away - but you can jump right outside the front door into the "cool water". In the cool season provides central heating for comforting warmth. A fishing or A jetty directly at the house as well as a rowing boat and a carport are available free of charge. Towels and bed linen have to be brought along, electricity is to be paid according to consumption. Ein herzliches Dankeschön an die Gastgeber. 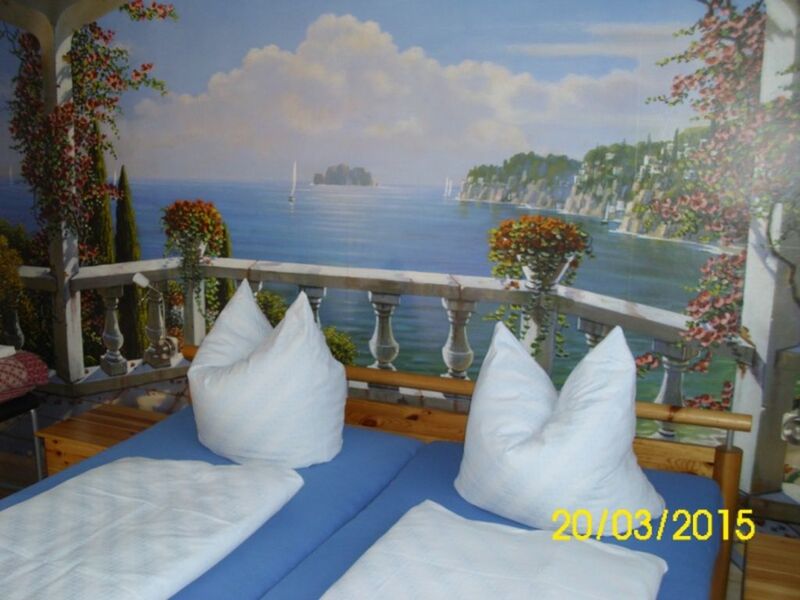 Das Ferienhaus ist ideal für zwei Personen. Klein, aber fein, steht es am Kanal in Mirow unweit der Schleuse auf dem großen Grundstück der Vermieter. Es war alles vorhanden, alles war sehr sauber, und mit viel Liebe zum Detail eingerichtet. Und nicht zu vergessen: das kleine wunderhübsche Gartenhäuschen, wo unsere Taschen und Angelgeschirr lagerten. Rundherum: ein sehr angenehmer Kurzurlaub. Bestens weiter zu empfehlen, besonders an ältere Paare. Schöne Lage. Gute Ausstattung und sehr sauber. Man ist herzlich willkommen und es ist weiter zu empfehlen. Our house is located directly on the Müritz-Havel-Kanal.